Similarly, there are another set of two types of people: those who are into bread and pasta and those who prefer rice. I’m definitely the latter! Well now, there are recipes you can follow to cook rice meals with ashitaba. In this page, you will learn about how to make Ashitaba (Three Types of Rice for Meals): Spicy Ashitaba Fried Rice, Sea Bream Rice Filled with Ashitaba and Sushi Ashitaba. Just typing the words now make me feel hungry! Awww. So let’s start. 1. Finely chop the raw ashitaba leaves. 2. Heat the oil and put the grated garlic while also sauteeing the tomorrow leaves. 3. Next, put salt and pepper and if you want, red pepper as well. 4. Add in the cooked rice and prepare to taste with soy sauce. Tired of eating rice the typical way? 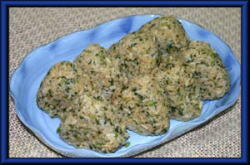 Try creating rice balls! You would only need to have step 5 which is to form the Spicy Ashitaba Fried Rice into bite-sized proportions for convenient eats. 1. Pull the two scales of bream, and wash them well with water gralloch. This to take to get rid of the smell of the sea bream. 2. Mix the seasoning broth, sake, mirin and light soy sauce altogether in a bowl. 3. Put in the rice to the pot and squeeze the peel of the citrus fruit. 4. Wait for 10 to 15 minutes until it’s steamed. 5. Remove the bones of sea bream and mix it well. 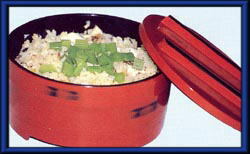 Cooked Japanese riceSteps:1. Add vinegar to the cooked Japanese rice and leave it to cool. 2. Drop in two leaves of ashitaba, put a little salt and plenty of hot boiling water. 3. Boil the carrots and put in a little sugar and salt. 4. Roast the white sesame in a frying pan. 5. Roll the rice and slice the sushi into manageable bits. This recipe is really good. I really wanted to know if what's the taste of Ashitaba. this is the first time that I have heard about this plant Ashitaba. It looks interesting! Yes, ashitaba plant is really interesting. When you compose a dish with ashitaba, consider the component in its most basic form and build from there. You can eat generally everything in the plant: stem, stalk, chalcone (or yellow sap inside the stem), the leaves. Though it tastes bitter, it has quite a good aroma and visual appeal. I don't know where from earth I came from but I never heard about ashitaba????? After typing this comment I will ask my mom regarding this and in case she doesn't know this recipe as well, I will show her your post 🙂 Thank's for this interesting recipe. how does it taste? is it really good? i think ashitaba, if you placed it in rice, it really taste like onion leaves? hahaha. Ashitaba Plant can be made into different dishes which made this plant amazing. Not just that, this can be a healthy meal for those who are into healthy diet or simply wants something new to try on. ahaha..i believe there are three types of foodies: the one who loves pasta and bread, one who loves rice, and lastly, one who cant live without both…and that's me 🙂 nice post! 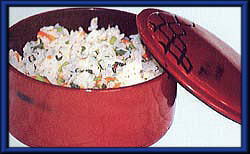 The rice preparation in three types with Ashitaba makes me curious. Ashitaba, does it work wonder? Does it has a therapeutic effect to ailing body? Anyway, your post is interesting. Thanks, Gil. Yup, this plant has health benefits and positive effects to people I know who take the ashitaba leaves as raw and as tea. Never heard of this plant, this will be good alternative for rice lovers. Yeah, this can be another alternative to vegetables for fried rice. I've been following your posts regarding almost anything ashitaba. Though I couldn't seem to find the right market (or store) to get some. Thanks for reading my posts, Mark. The right market may not be found here in our country. That's why I even import ashitaba products from US (Amazon and eBay). I am not familiar with Ashitaba, how does it taste? Haha hello Mommy Pehpot, it tastes bitter. Haha you can have your own ashitaba plants by purchasing seeds from Amazon. This Ashitaba is new to my ears. But I want to try it for sure! 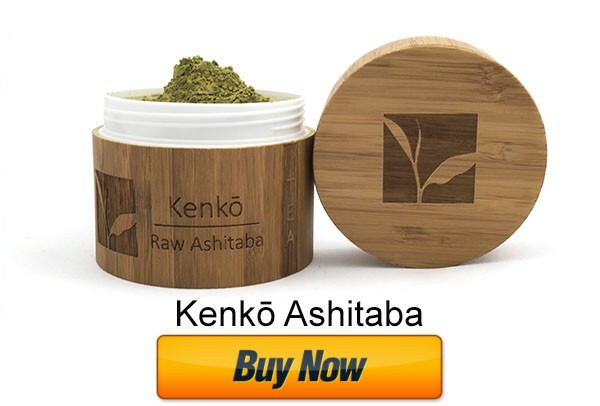 If you want to try the capsule version just send me a message or click the message below – "Click here to buy ashitaba capsules…." I'd love to try these recipes! I'm a rice person, although I also love my pasta, noodles and bread. Anyway, I was wondering where can I get ashitaba leaves locally? I'd love to try this out and enjoy the health benefits of ashitaba. It's nice that you can mix it up in different types of rice. Yeah, ashitaba can be added to any dish. Hi Aveline. Yes, pwede. As said, ashitaba leaves can be treated as vegetables that you can prepare and include in your meals.